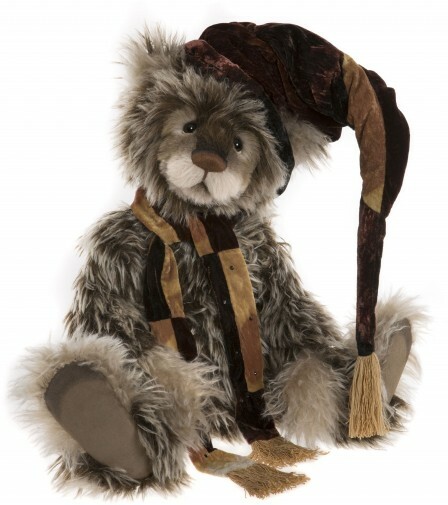 Corfe Bears > Isabelle Collection > ISABELLE POPOV 23"
POPOV is one of three clown bears in the 2018 Isabelle collection, who have been inspired by famous clowns from history - Popov the Russian clown is probably the most famous of all. ISABELLE POPOV will be a talking point in your collection, as he is a big, standing bear, who will entertain your bears and make them laugh - so a great bear to have! His gorgeous fur is really thick and strokeable and is in a mix of various shades of brown, with some white tipping for extra depth. His face has been sculpted to reveal a brown and cream muzzle and he has a brown hand-stitched nose and dark appealing eyes. This bear really loves lots of attention and he will certainly catch your eye with his big, oversized hat and matching scarf! 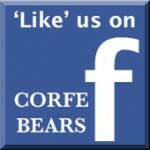 FREE UK DELIVERY - DUE TO SIZE WE WILL SEND BY PARCELFORCE 24.